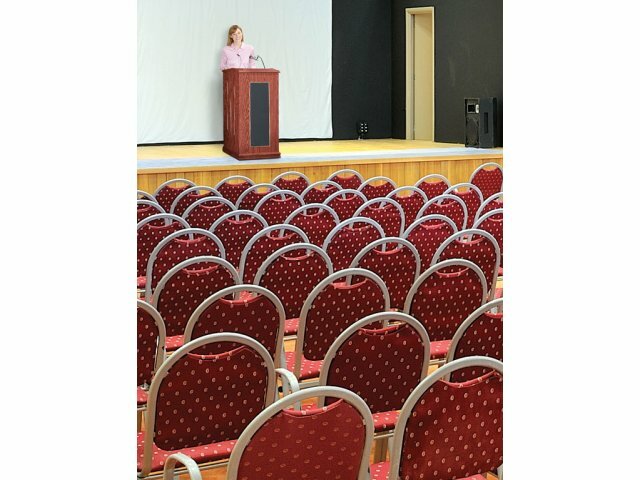 Give your speakers the freedom to move around and fully express themselves, by choosing a sound lectern and wireless podium mic set. With a choice of microphone styles, each company can choose the option that works best for them. 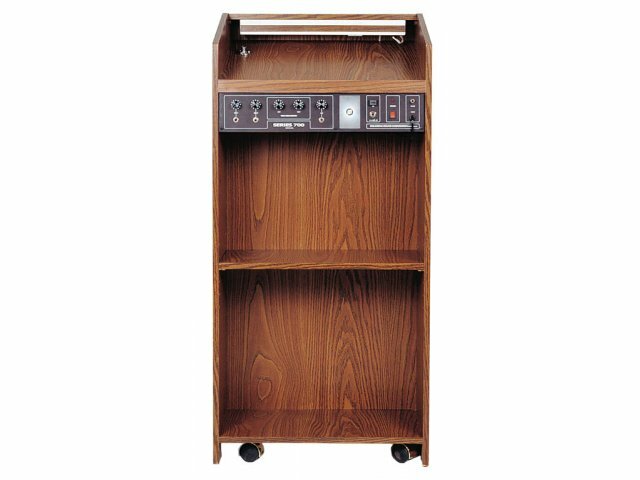 Similar in design to our President's Lecterns, this model adds the convenience of built-in amplified sound system. 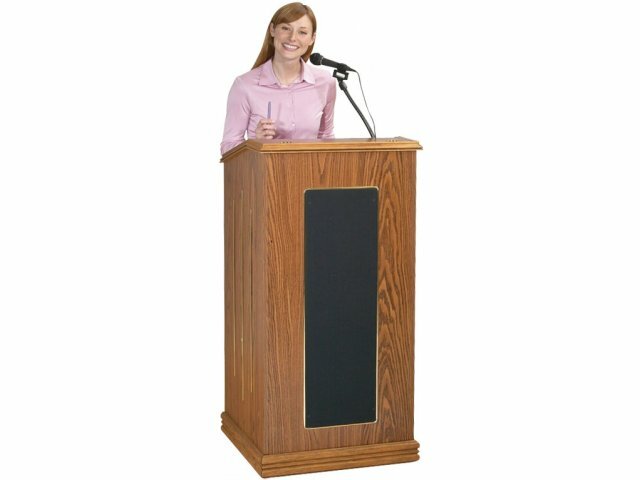 A well designed lectern can lend stature to a speaker making a major presentation. 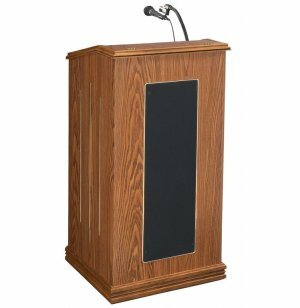 As its name implies, the President Lectern is meant for important addresses and distinguished orators. 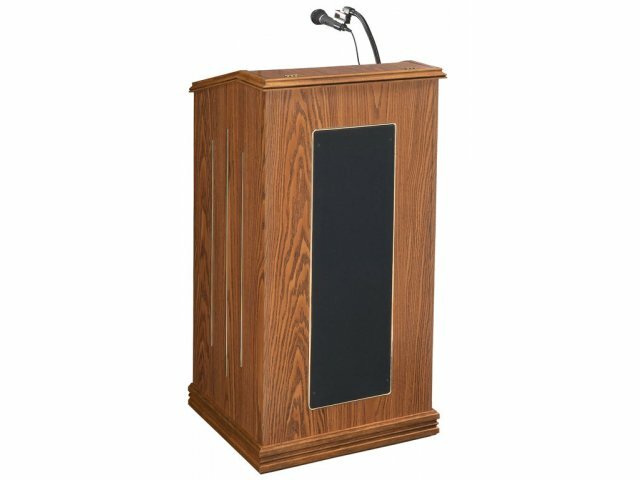 Even when used in a school auditorium or lecture hall, these lecterns will help frame the person speaking and lend weight to his or her words. High-quality sound is provided by an integrated 50-watt amplifier and four 8" high-efficiency speakers. Tone/volume control is right up front so that the person speaking is able to adjust it to his or her preference. Additional features include a recessed fluorescent lamp and surface-mounted digital clock. 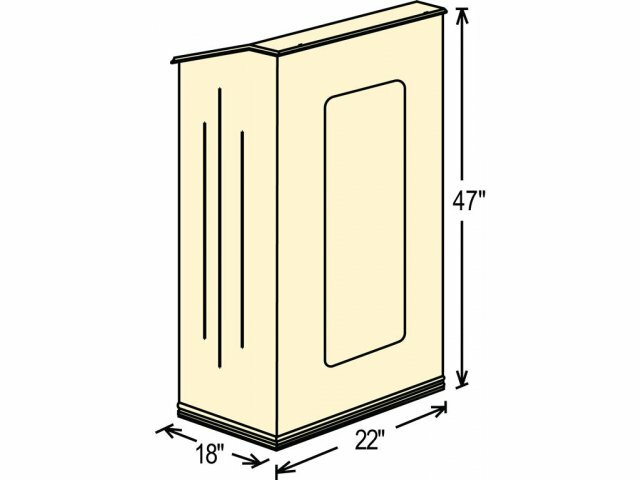 There is an extra-wide shelf for speaker's notes and other materials. Hidden casters allow these lecterns to be moved easily yet still have the appearance of a permanent lectern.